We are a leading Manufacturer of grid springs, industrial grid coupling springs, grid spring coupling and grid coupling from Howrah, India. We offer Grid Springs that exerts some type of load or force when it is compressed. 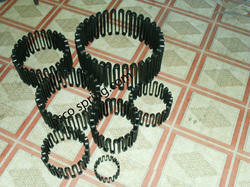 These springs are manufactured from quality material that make them highly durable and long lasting. These are available in different shapes like cylindrical, conical, barrel shaped, hour glass shaped and concave. Moreover, our range is offered at industry leading price. 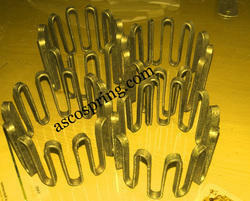 Asco a leading manufacturer, exporter and Grid Spring suppliers of our products. Asco couplings are designed and developed keeping in mind all the prevailing industry guidelines. Asco all the products are highly appreciated and demanded throughout the year by our esteemed clients and industry. In addition to this, we being a quality oriented company, lay immense attention towards maintaining quality of our products. Asco quality experts keep a strict vigil on all the production activities starting from the procurement of raw materials till the final dispatch of consignment. We, Asha Spring & Engineering Co. are a leading manufacturer, exporter and Grid Spring suppliers of our domain. Our couplings are designed and developed keeping in mind all the prevailing industry guidelines. Our all the products are highly appreciated and demanded throughout the year by our esteemed clients and industry. In addition to this, we being a quality oriented company, lay immense attention towards maintaining quality of our products. Our quality experts keep a strict vigil on all the production activities starting from the procurement of raw materials till the final dispatch of consignment. Furthermore, we are also engaged in offering a comprehensive array of Spiral Spring, Torsion Spring, Coil Spring, Leaf Spring, Volute Spring, Constant Force Spring, Industrial Spring And Industrial Coil Spring. We are an eminent manufacturer, exporter and supplier of Indian domestic market. Our offered Grid-Couplings are well lubricated, having high torque capacity such as gear couplings & with torsional flexibility of an Elastomer couplings. 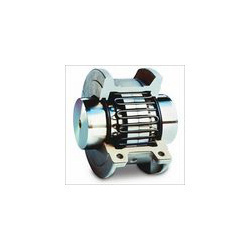 Grid Coupling provides the easiest, most cost effective and sought-after solution for high torque application. We adhere to all the set quality guidelines of our industry. We leave no stones unturned to maintain highest level of quality in our product-line. Moreover, we offer these products at industry leading price. Apart form Indian domestic market, we export these products to European countries like Europe, Austria, Belgium, Denmark, England, France Georgia, Germany, Greece, Hungary Iceland, Poland, Portugal, Romania, Spain Sweden, Switzerland, Ukraine, United Kingdom (UK), Italy. 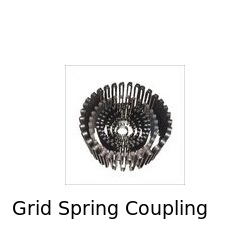 Looking for Grid Springs & Coupling ?